Casey Han's four years at Princeton gave her many things, 'But no job and a number of bad habits.' Casey's parents, who live in Queens, are Korean immigrants working in a dry cleaner, desperately trying to hold on to their culture and their identity. Their daughter, on the other hand, has entered into rarified American society via scholarships. But after graduation, Casey sees the reality of having expensive habits without the means to sustain them. As she navigates Manhattan, we see her life and the lives around her, culminating in a portrait of New York City and its world of haves and have-nots. 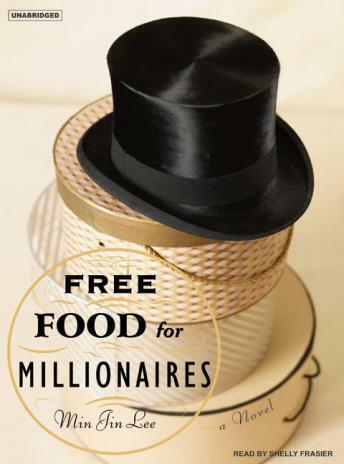 Free Food for Millionaires offers up a fresh exploration of the complex layers we inhabit both in society and within ourselves. Inspired by nineteenth-century novels such as Vanity Fair and Middlemarch, Min Jin Lee examines maintaining one's identity within changing communities in what is her remarkably assured debut.